Having survived the monsoon crossing from Nusa Lembongan, we were back on the firm (albeit filthy) ground of Sanur's beaches. The complementary driver that came with our Scoot boat tickets braved the hour of gridlock traffic to make it the 10 miles to our next Airbnb, Villa Emma in Seminyak. We could not have asked for a more perfect oasis from the craziness that the Kuta/Seminyak region of Bali is now defined by. Dirt-cheap prices, endless beach bars, and seemingly few legal restraints has transformed these once-quaint towns into a party mecca for vacationing Aussie youth and international backpackers. 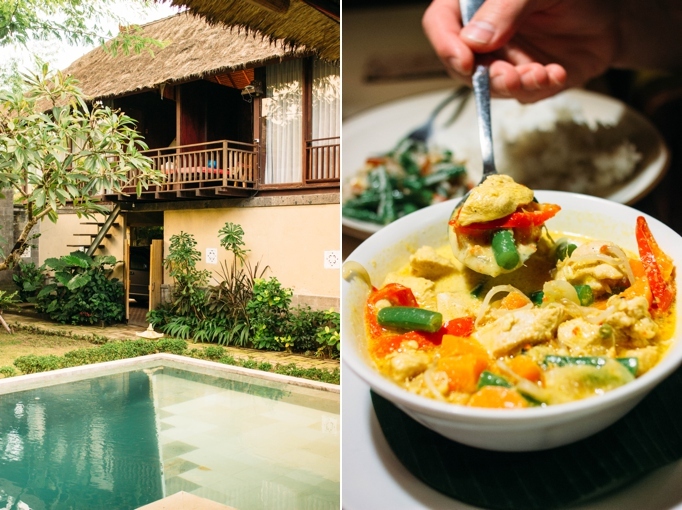 When we were finally ready to leave the palm-enclosed pool, the incredible staff of Villa Emma recommended the traditional Baliese cuisine of Kendi Kuning on Jalan Drupadi. They could not have been more right as the grilled mahi-mahi, curry, and cocktails brought us back 3 more times during our stay. Make sure to spark up a convo with the incredibly hospitable owner, Anne Marie or her Balinese husband for some of the best local tips you could ask for. If you're looking for something a little more casual, KZU Drupadi is just around the corner with a smorgasbord of uber cheap, Chipotle-style Balinese. Or, if you're anything like us and the beach is incomplete without fish tacos, Taco Beach Grill is just a couple blocks away off the incredibly popular Jalan Raya Basangkasa. After a few months of travel, it cannot be described how appreciated some surprisingly accurate Mexican flavors can be. The over-packed and dirty beaches of Kuta/Semiyak aren't much to write home about so we relied on another $5/day scooter to take us the 10km north to Echo beach in Canggu for decent surf and relaxing nap spots. Old Man's serves as the beach's most popular hangout with huge portioned surf food, drinks, and live music. 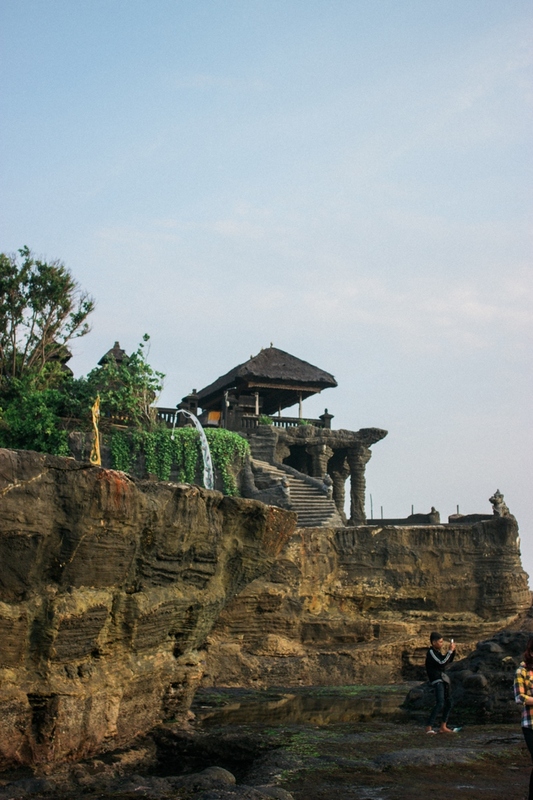 Another 10km further up the road takes you to the highly touted Tanah Lot temple and its infamous sunsets. This ancient Buddhist worship ground can only be accessed at low tide as it's perched atop rock outcroppings. Despite the site's theme park feel (complete with Billabong/Ralph Lauren shops, snake charmers, and monks to pose with), the temple is still operational with optional Eat, Pray, Love style blessings - for a fee, of course. Just be prepared to face a battlefield of selfie sticks and endless tour groups around dusk as people-free pictures turn into pipe dreams. Don't give them a reason: remember that it's the law to wear a helmet, carry the bike registration and have your international drivers license. The police will certainly make up a false cause for pulling you over regardless - don't give them a valid violation to stand on. Interact in public: if possible, aim for an obvious and public setting when getting pulled over. While 99% of these interactions are just a way for police to quickly supplement their pay, there are stories of more serious extortions that involve the planting of drugs or prostitutes on unsuspecting tourists. Just be aware of your surroundings and don't open yourself up to an extreme situation. Never show your cards (money): this is where having a fake wallet really pays off. It's always a good idea when traveling to spread out your money in multiple places but we found success in keeping no more than $5-10 (and no debit/credit cards) in our wallet exclusively for when dealing with police and bartering salesmen. Ignore the sticker price: the cops will likely start with an outrageous fee for the imaginary red light you ran through at upwards of 5 or 10 MILLION rupiah ($350-700). To put that in perspective, Bali's minimum wage is $115 PER MONTH! However, these guys are really just looking for a quick payoff to pocket before moving on to their next target. Play dumb like a fox: it's important the police know you are aware that you didn't violate any laws of the road. So it doesn't hurt to calmly express your confusion and frustration for having been pulled over. I would typically start with asking as many questions as possibly to drag out the interaction as long as I could...and increase their fear of a legitimate police officer (there are some!) seeing what they are doing. They may "casually" play with their gun holster, threaten prison, or claim to take your scooter as some of their intimidation tactics but just show them your cash-poor and debit card free wallet as an effort to show that you are willing to work with them. Offer the alternative: it's bad form to offer a bribe right away but if the interaction has gone this far then it may be your only option. There is no doubt that I feel serious moral conflict when paying any sort of bribe but it's important to consider that even the money for a "formal ticket" goes into the pocket of the police. Casually let the officer know that you are willing to monetarily ease the situation with a question like: "is there another way we can handle this?" It's then up to your creativity to make the exchange. Other than the traditional "money handshake", you may have the opportunity to slip in a few bills when passing registration documents or setting some cash in your helmet hanging from the handlebars. You should be able to get by with 50,000 rupiah ($3.50) but some may let you slide with 20,000 depending on how much you showed them in your fake wallet. Forgive and forget: don't let your bruised pride keep the rest of the interaction from being civil. It never hurts to finish with a smile or a friendly conversation as some of these officers can be pretty nice guys. Who knows, it might even payoff next time they pull you over for running that invisible stop sign. Have you ever had to deal with police corruption in Indonesia, or other countries? The punch of heat that hit us as we disembarked at the Bali Denpasar airport served as a sweaty reminder that we had started a very different leg of our trip. While we were no stranger to the swarm of touts and taxi drivers that awaited past the baggage claim, we had uncharacteristically accepted our Airbnb host's offer to arrange for a private driver to take us the 45 minutes to our villa in Sanur. Our rastafari chauffeur made the traffic-ridden trip for only $1.50 more than the average taxi and dropped us off poolside at the nicest room we had stayed in thus far in the trip. Unfortunately, we had only a night to rejuvenate in the little oasis before catching a morning boat to Bali's neighboring island of Nusa Lembongan. We were able to work a slight discount through our Airbnb for tickets with the very reputable Scoot Fast Cruises, but the roundtrip would typically cost around $40/pp for the bumpy crossing (including hotel pickup and drop-off at each end). Every penny was worth it when we jumped out of the boat with our bags overhead onto the pristine, white sand beaches. 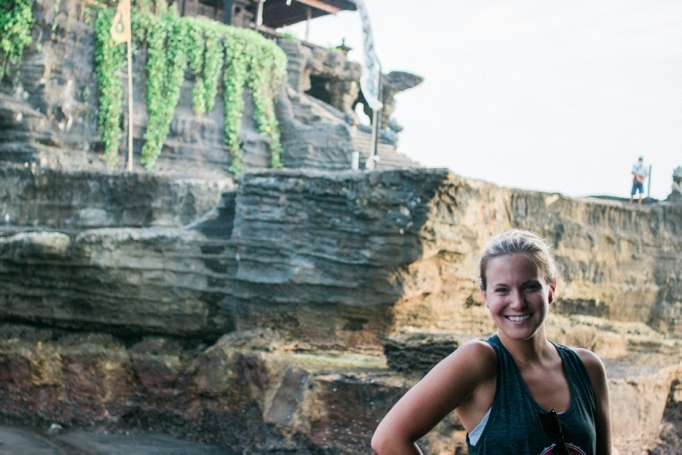 Nusa Lembongan was everything that we had expected Bali to be. The entire community operates with a quintessential island pace and everything is within a 15 minute scooter ride; this includes the one ATM, a handful of world-class surf spots, and countless secret beaches. We opted for a central location on the top of the island's largest hill at Poh Manis Airbnb/hotel (we so highly recommend you do the same). Our incredible host, Wayan, set us up with a much needed scooter and plenty of awesome tips. 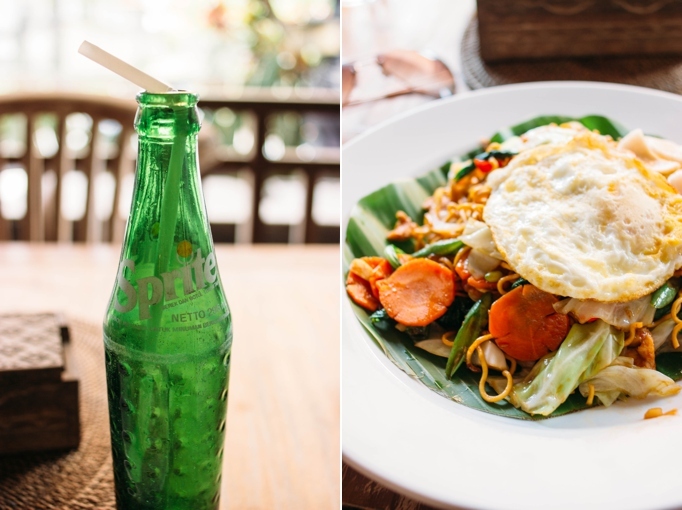 After a much needed jump in the pool to break the heat, we made our way to the tasty Suka Nusa for traditional eats of Nasi Goreng - a semi-sweet fried rice served with egg and shrimp crackers. This meal is a definite staple of Indonesia and certainly a must-try where ever in the country you go as each region adds their own flair. To wash it all down, we made the scooter ride over to Dream Beach bar and hotel for some tasty drinks with the bonus of cliff-side seats overlooking the beautiful cove. While Dream Beach offered a stunning view, it may have even been topped by the Panorama Cafe's mountain vista and their ice cold Bintangs - definitely worth the winding drive there...just make sure to get the ice cream and Indonesian crepes as a reward. 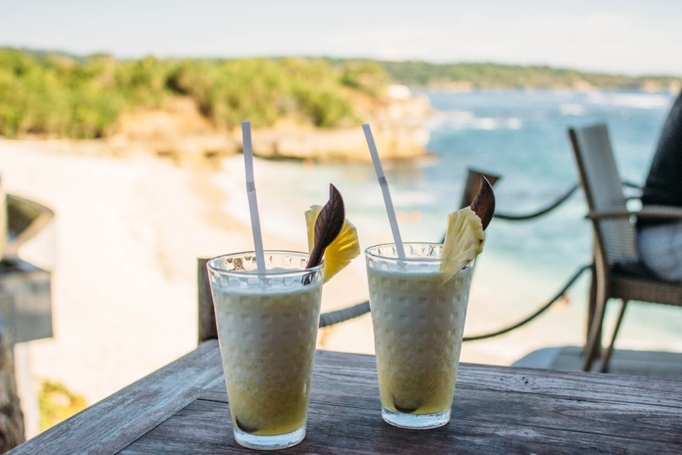 For other tasty eats on Lembongan, definitely try out the Hai Bar and Grill on Mushroom Beach with their glam-hut style dining and delicious seafood. For a morning fueling, we loved the quaint Two Towers Cafe that offer breakfast or jaffles (aka toasties, aka grilled cheese) with your coffee and milkshake as you dine in the jungle. We hate to be negative but TripAdvisor was wayyy off the mark with the highly regarded (and expensive) Beach Club - from our experience, we might recommend giving that one a pass. 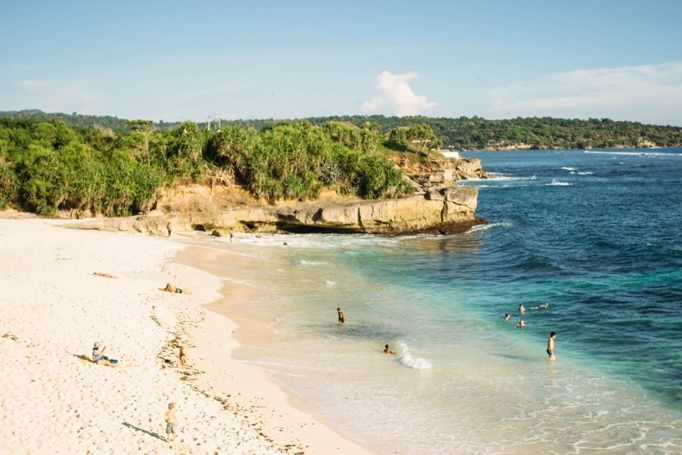 Despite what it sounds like, there were plenty of activities on Lembongan other than eating, drinking Bintangs, and scooting from beach to beach (not that there is anything wrong with that). For just $5/day we were able to rent a decent surfboard from one of the several vendors on Coconut Beach. If you know what kind of board you're looking for, just ask as these guys have a secret shed full of their own boards that they are often willing to rent out. From the beach, you can paddle an easy 5 minutes to Playgrounds break or another 10 minutes to Lacerations. 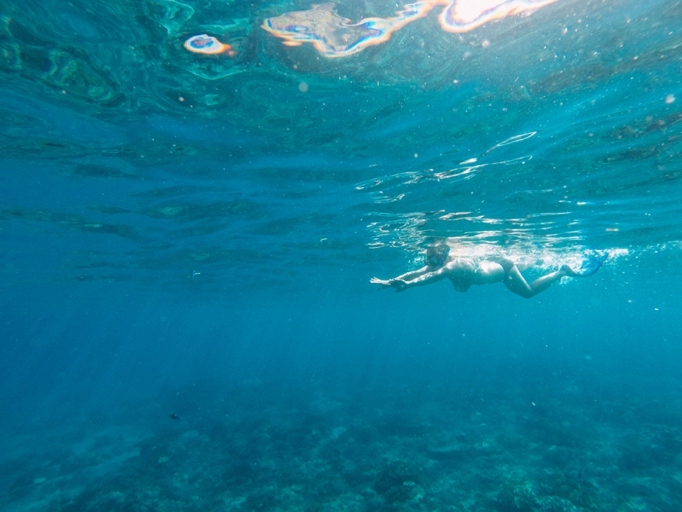 Playgrounds is a pretty good place for anyone learning to surf but make sure you keep an eye on the tides at Lacerations if you don't love the feeling of reef or value the skin on your back. 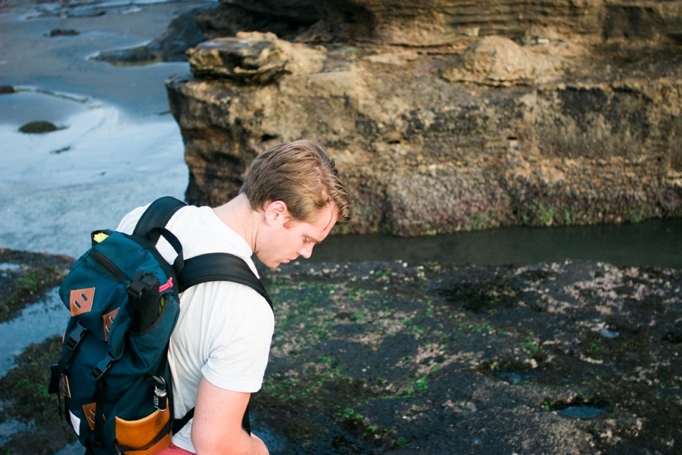 After a few days of scooting around Nusa Lembongan, we decided to adventure over to its neighbor, Nusa Ceningan. The two islands are separated by a VERY narrow bridge just wide enough for a single scooter to cross but it proved to be a gateway to even more beauty. There the local culture seemed less tainted by tourism and offered some of the most beautiful sunsets we have ever seen. If you've braved the bridge to Ceningan, make sure to check out the aquamarine waters of the Blue Lagoon on the far side of the island. Or for a different view, we arranged a $25 boat and snorkling trip to Manta Bay to attempt a spotting of the elusive, giant manta rays that swim there. We weren't quite lucky enough to spot the crazy creatures but did dive around with a few schools of colorful fish in Star Bay as a backup. 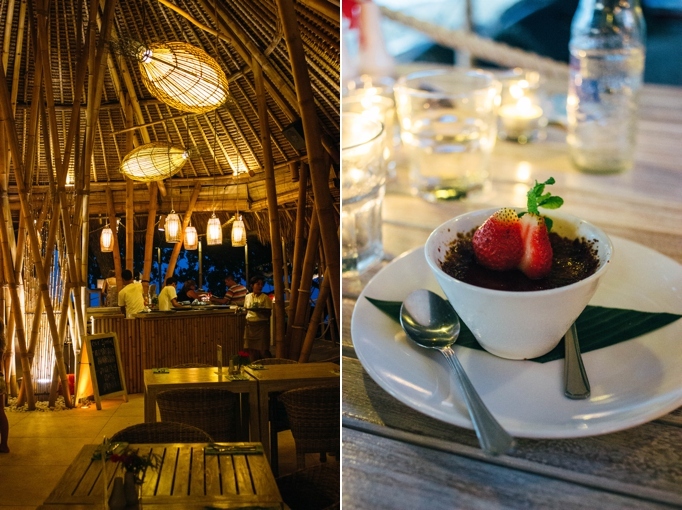 For some tasty restaurants after exploring, we loved both the food and waterfront setting of Le Pirate for a western/traditional blended cuisine and SeaBreeze Warung for down-home Indonesian. We're far from professionals, but here's another short video we put together of our scootin' & snorklin' in Nusa Lembongan! After our paradise week on the Nusa (Balinese / Indonesian word for island) we departed for mainland Bali, but our return trip was significantly less serene than our ride out to Lembongan. As soon as we arrived at the meeting place (aka the tiny tiny beach shack) a monsoon rolled in, so all of the passengers were corralled into the back room where we camped out, sans electricity, for several hours while waiting for a pause in the storm. As soon as there was a clear moment, we all booked it to the boat for what turned out to be the second most treacherous aquatic experience of our entire trip. Surprisingly we arrived safely to Bali without being thrown overboard, albiet 7 hours behind schedule. Next up, Seminyak, Uluwatu & Ubud, Bali! 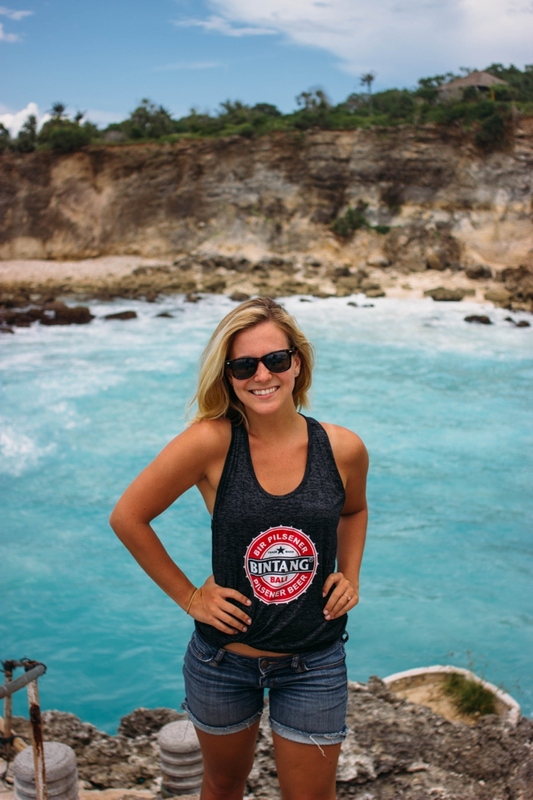 Stay tuned for some sweet surf vids, miles of rice paddies, and overly friendly monkeys and ya'll! After a long day of thermal pools, hobbits, and weary roads, we arrived in the small town of Thames at the western base of the Coromandel Peninsula. We first settled into our charming Airbnb that was once a garden shed turned guest house (way cooler than it sounds) and met our equally charming hosts. They highly recommended Nakontong Thai Restaurant but unfortunately the owners were out of town. Thankfully, all of Thames' restaurants and stores are on one primary street so it was easy to find the delicious Kebab Express for massive portions of turkish delicatessen. 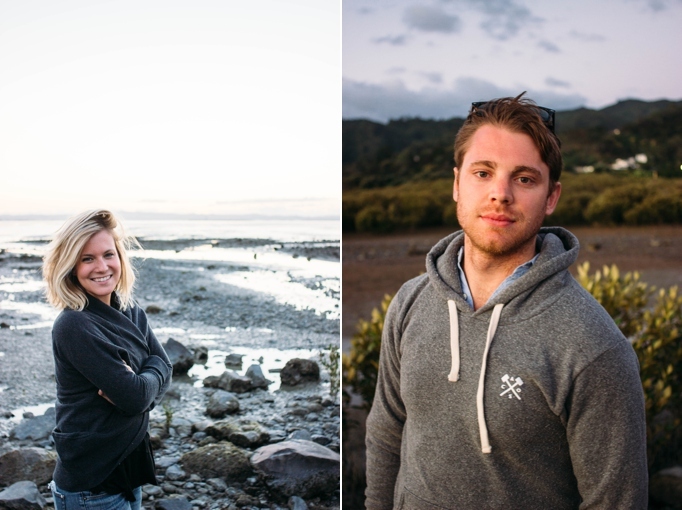 Our meal finished just in time to enjoy one of the gorgeous sunsets that the Coromandel is known for. Definitely make sure you plan accordingly. Unfortunately, our plans for exploring the rest of the peninsula were thwarted thanks to an indignant MacBook that died overnight. While the small-town nature of Thames added to its charm, it also meant that we needed to travel to Auckland earlier than expected to get the computer fixed at an Apple dealer before heading to SE Asia. However, there is plenty to explore here when we return as the Coromandel is renowned for its rugged mountains that come crashing into idyllic beaches. A few of the spots we hope to hit next time (yes, there will be a next time) are the magnificent Cathedral Cove, Hot Water Beach to dig our own hot spring, and catch some surf at Whangamata Beach. Once we had our MacBook brought back to life by the miraculous hands of a Kiwi Apple technician, we went for a celebratory lunch at The White Rabbit in downtown Auckland. This super hip bistro came by recommendation from friends Caitlin Kellagher & Natalie Franke Hayes (who we had met up with in Queenstown) and we're so glad they shared this gem! The meals were edgy and creative with fine dining flavors but served in a casual, warehouse-chic setting. We loved every single bite! Our Auckland Airbnb was a just outside of the city center in a quiet little neighborhood. The home was perched on one of the many hills that surround downtown and gave incredible perspective of the sprawling suburbs. For an even better view, our hosts recommended the nearby Mt Eden - an extinct volcano with a stunning overlook of the city that can be driven to the peak. Make sure to grab some tasty woodfired pizza to-go from Al Volo at the base of the hill to take advantage of this ideal picnic spot. 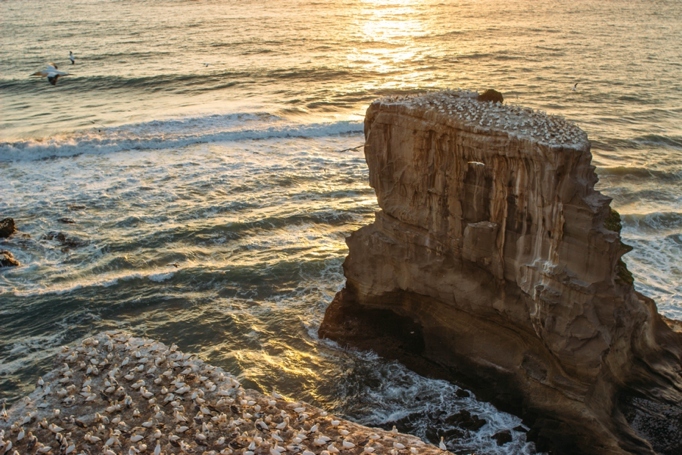 Our host had also confirmed that we were lucky enough to still be within the ideal season for a visit to Muriwai Beach's gannet colony just 40 minutes west of the city. 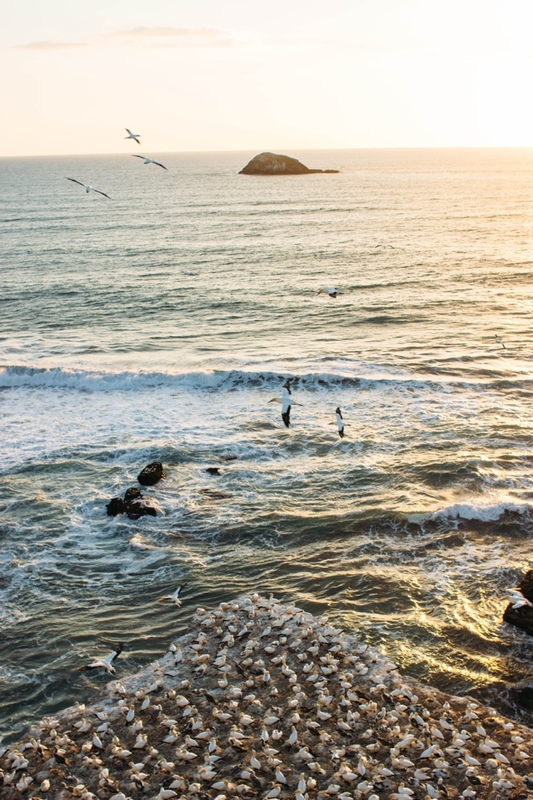 From August to March, these beautiful sea birds mate and nest on the angular outcroppings of Muriwai's cliffed shores. We were mesmerized as we sat on the edge of the rocks for hours watching swarms of gannets dart to and from the water to feed their little ones. 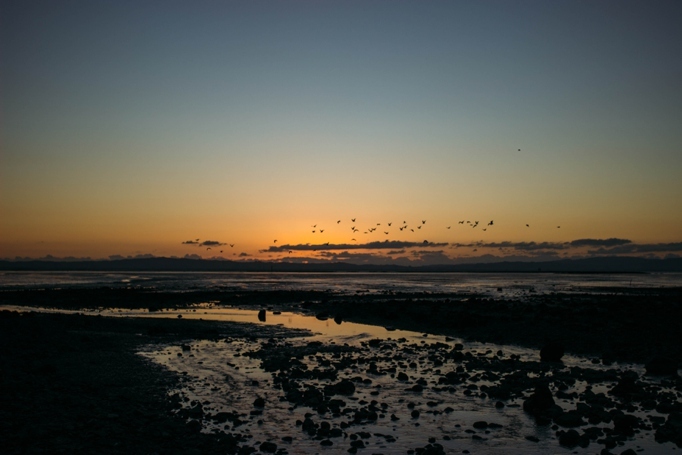 The birds were pretty generous with their spot choice as the sun sets directly behind their acrobatics and makes for some pretty epic picture taking. We also made this itty bitty video of the amazing bird colony. Such a sweet sunset experience!! Note: we were lucky enough (sarcasm) to experience our first NZ police check-point on the way back to the city from Muriwai. The country has taken very serious steps to curb the amount of drunk driving accidents and strictly uphold their 0.05 BAC limit. Thankfully we are overly cautious about this sort of thing as they were giving compulsory breathalyzer tests to everyone that drove by. Apparently, this is a pretty common deal. We were definitely sad to be leaving the beautiful land of the Kiwis as we caught our early morning flight out of Auckland but were ready to take on the chaos of SE Asia. Peace out, NZ! It's been grand. Next up, Bali!